We understand how important this day is, and we work closely with you to ensure your floral selection is as perfect as any bride should expect. Beautiful bouquets are created with you, for you, to bring out your own individual look and especially to enhance both the theme and mood of your wedding. Dress design and colours are an important factor for us to consider, and this combined with our personal attention, innovative ideas, superb quality and friendly service makes Cerise the perfect choice for your wedding flowers. 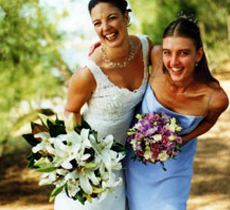 Brides Bouquets, Bridesmaids Bouquets, Flower Girl Posies, Buttonholes, Mothers Corsages. 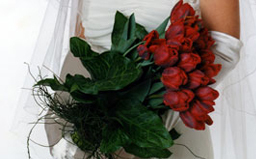 We have included photos of some of our stunning bouquets and wedding décor simply click above to view.